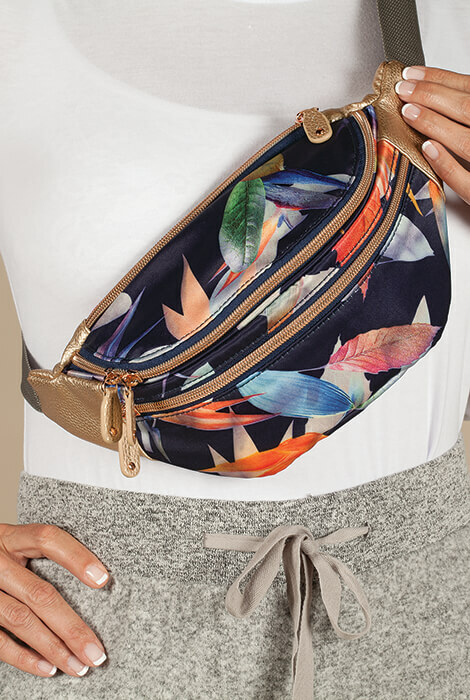 The ultimate vacation bag, the tropical print on this hands-free Buxton® Tropical Luxe Waist Bag will leave you longing for adventure. 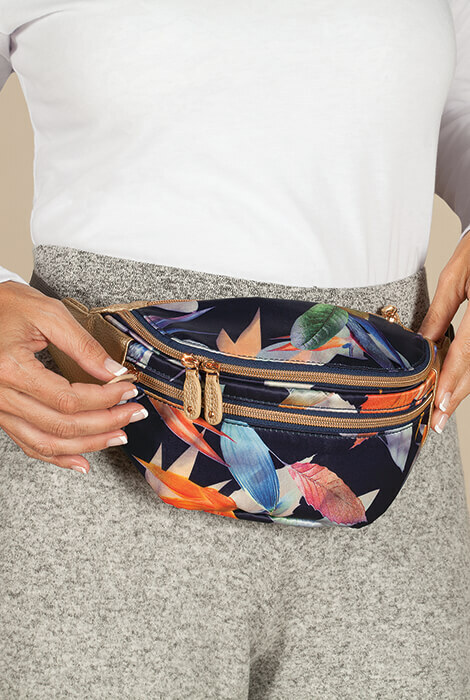 Crossbody or around your waist, it fashionably carries essentials while you travel, shop or exercise. 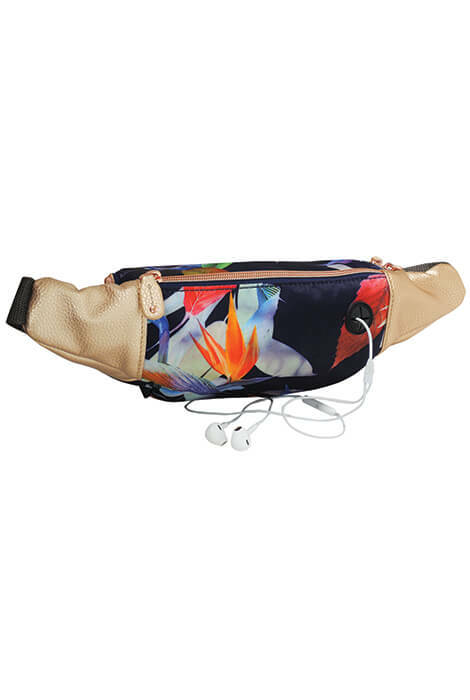 the buxton bag even has an outlet for an earbuds cord so you can listen to your favorite music or podcasts on the go. 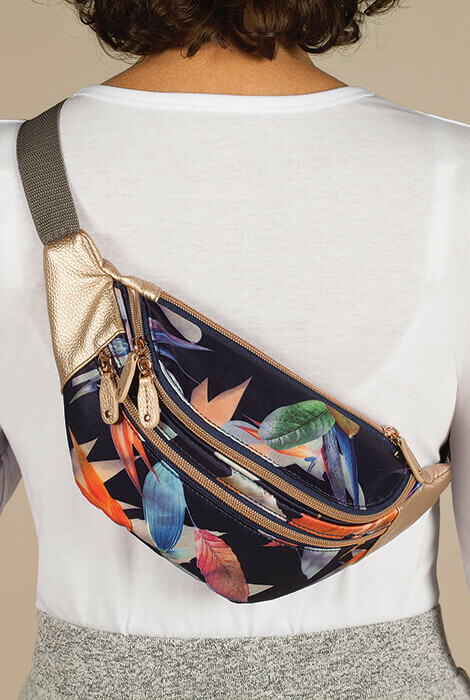 Three zippered compartments help you organize, and the strap adjusts from 24"–38" long for a comfortable fit. 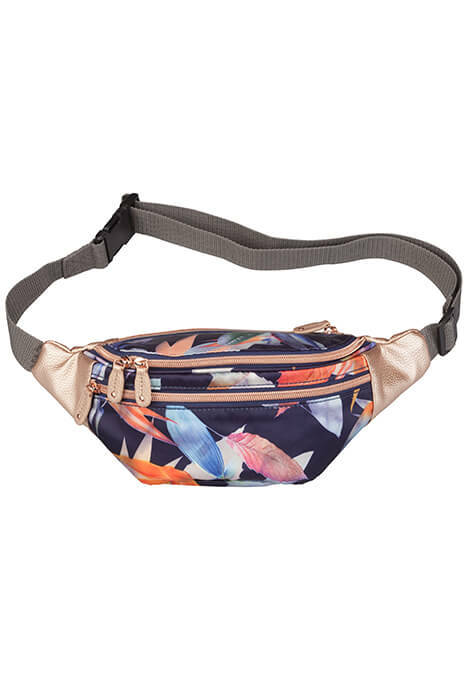 80% polyester/20% polyurethane.